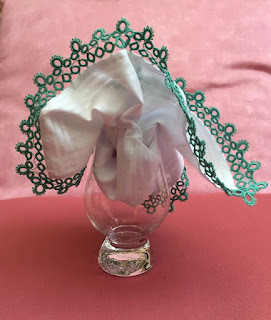 Here is how I attached my edging this time: I used a couple of tiny stitches to fasten down each picot to the handkerchief edge. 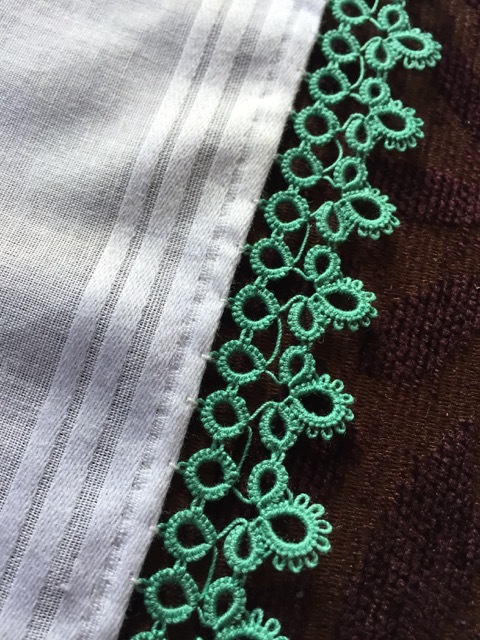 To travel between picots, I pushed my needle inside the hem and popped it back out in line with the next picot. Whilst working on the tatted border, I had to refill my shuttle several times and some may wonder how to join new thread and hide ends when working with just one shuttle and bare threads so I thought it would be a good idea to make a new video. I'm working on it today and should have it uploaded later on. Really lovely, both gifts. 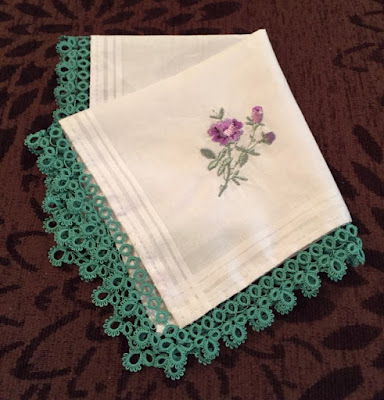 You’ve inspired me to tat a hankie edging. You have inspired me to finish my handy, I keep it in my handbag for when I am waiting usually in the hospital for appointments, it's been there for ages, time to get it finished. 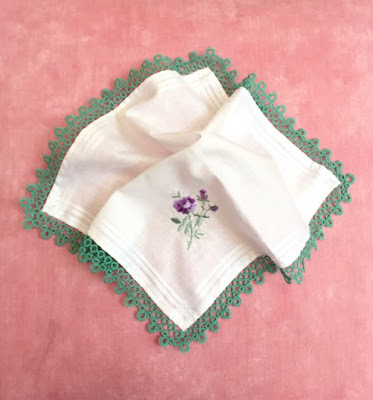 When I first Saw the hanky, i thought it's so lovely but those socks are just as beautiful! As someone who is working with bare threads right now I really look forward to your video! everything is lovely, just fabulous! The hanky is lovely! The socks are great, too! Das Einstecktuch ist wunderschön und natürlich auch die Socken. Ich freue mich auf das Video. 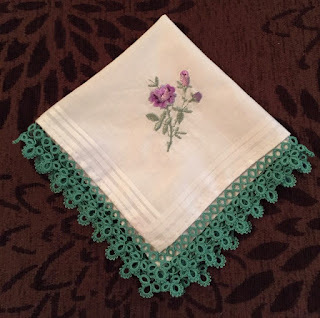 The tatted edging on that hanky is so lovely! Your video is absolute genius! That is why I follow you! 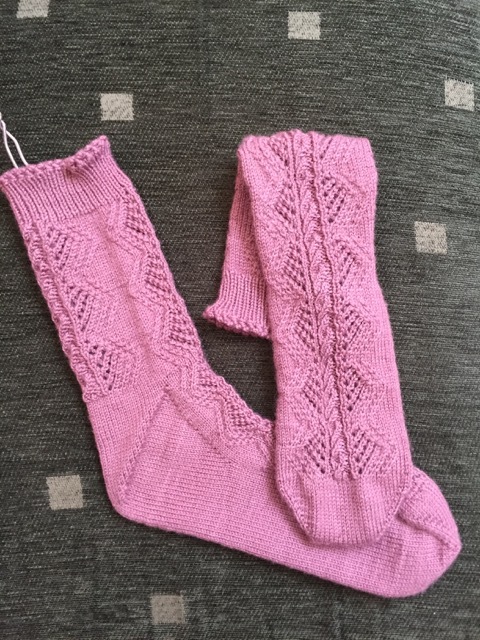 Nothing like a great pair of hand knit lace socks. Hmm, I would love to receive such a hankey, and to make on as well, actually! Loved the tatted hanky. Color combination looks great. These are awesome birthday gifts. You have shared a wonderful information with us.